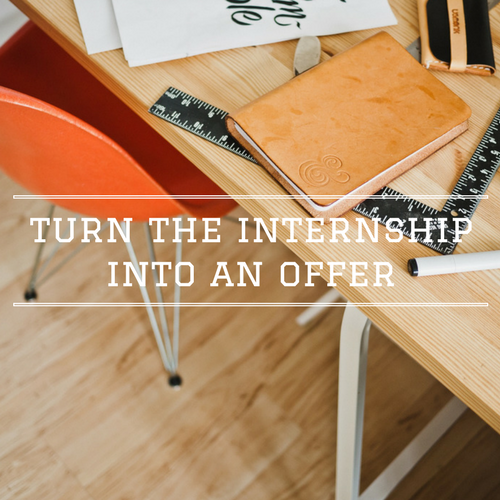 Internship Report: How to Turn The Internship Into an Offer | Page 8 | Challenger, Gray & Christmas, Inc.
As the economy improves and talent becomes more difficult to find, the hope of gaining an advantage for future employment has driven the number and quality of internship applications higher. Labor shortages coupled with competition among undergraduates is changing the work given to interns and, as a result, internships have become increasingly vital when it comes to securing post-graduation employment. “Internships are more important than ever, but not all internship programs are created equal. Many employers do not have any type of strategy when it comes to utilizing and educating their interns. In these situations both the employer and the intern lose. It is critical that young people entering an internship program take a proactive approach to managing and maximizing their experience,” said Andrew Challenger, vice president of global outplacement and business coaching consultancy Challenger, Gray & Christmas, Inc. According to the National Association of Colleges and Employers (NACE), over 97 percent of large employers in 2016 plan to hire bachelor’s and associate degree holders. While statistics about the number of internship positions held each year are difficult to come by, some estimates put the total between 1,500,000 to 2,500,000. Currently listed on internships.com: there are more than 190,086 available positions from 120,288 companies located in 9,288 cities across all 50 states. Regardless, of how many Americans participate in internships, the importance of these opportunities to one’s career development should not be overlooked. A 2013 survey of graduates by the National Association of Colleges and Employers (NACE) found that 63.1 percent of those who participated in paid internships received at least one job offer, up from 60 percent in the previous year. Meanwhile, another NACE survey revealed that 95 percent of employers said candidate experience is a factor in hiring decisions and nearly half wanted that experience to come from internships or co-op programs. Companies that devote the time and resources to finding, selecting, and training interns are looking for a return on their investment. “No doubt internships give first-time job seekers a leg up in interviews and on job applications. However, job seekers should be ready to promote this experience, not only in interviews, but also online. “Obviously, the internship should appear on the resume and mentioned in the cover letter, but first-time job seekers should also create a complete LinkedIn profile. Interns should network within the organization and obtain recommendations from those with which they work directly,” said Challenger. In light of the growing importance internships have in career development, Challenger offered the following advice for getting the most out these positions. Be open to anything. Although many students worry about interning for companies in their fields, it is best to open up to many different companies across industries. It is important not to be especially picky with superficial aspects such as brand recognition. Expanding your target company list past high-profile companies and demonstrating interest in local start-ups, small or mid-size businesses, and non-profits allows for the possibility of multiple offers. Additionally, interning for small to mediums-sized companies is ideal because the opportunity to take on meaningful work and make a significant impact is high. Network, network, network. Ask for informational meetings or coffee with employees that work in the companies or departments that interests you. You can also reach out to employees through LinkedIn or Twitter. If your relationship grows, they may pass your name along to HR or a hiring manager. Keep track of all of your contacts so you can consistently stay in touch with them and prioritize the more important opportunities. Once you have the internship, make sure to meet with people within the organization, both the people with which you directly work, but also those outside your immediate purview. Treat your internship as a real job. The best way to prove you are qualified for a permanent position is through action. Think of your internship as a trial period or extended interview for obtaining the position you desire. Always be on time and meet deadlines. Maintain a positive attitude and show that you are eager to learn and succeed by seeking out feedback to improve your performance and develop new skills. Take initiative and exceed expectations. By taking initiative you can show management what you are capable of. Do not be afraid to voice your own ideas, offer solutions, and ask questions. Show interest in attending meetings and seek out extra work and new projects. When you go above and beyond the minimum, you demonstrate your commitment level and gain the attention of management. Dress according to company dress codes. While you want to stand out from the pack, you don’t want to draw attention to yourself for the wrong reasons. By dressing professionally you reinforce the impression that you can adapt to and fit in with the company’s culture. Keep track of your contributions and accomplishments. Keep track of the projects you worked on, your individual contributions, and the results achieved. Having a tangible record of your achievements with the company is a helpful tool in convincing a manager why you should be hired full time. Ask about available entry-level positions. Let your employer know that you would like a job with that particular organization. Ask about what positions are available and express your interest in them. An employer will be more likely to consider you for a position if they know you are interested in it. Stay in contact. If you don’t get hired for a position immediately after your internship ends, stay in touch. Check-in with your contacts and provide updates on your progress. This will help to keep you in the forefront for the employer’s mind when a position opens.